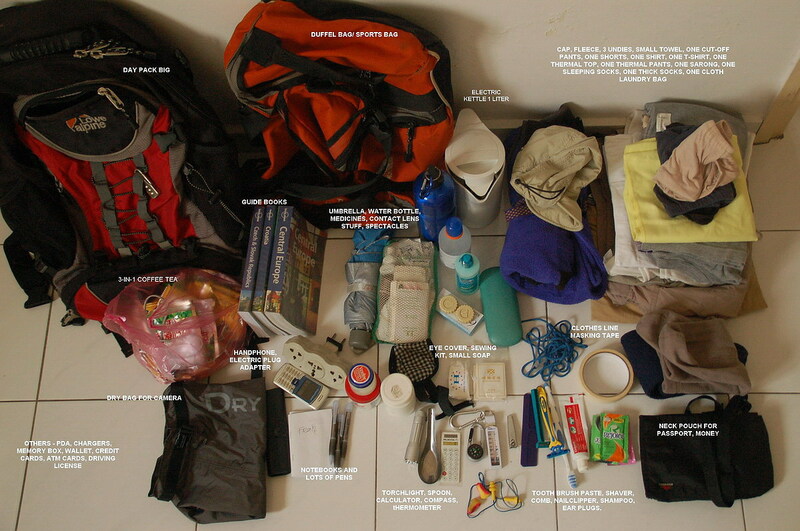 This a picture taken of my stuff that I packed for the Eastern Europe trip Jun 2007. There are a few other smaller stuff which I have not put in, like my pda and a file of documents. I set aside the clothes that I will be wearing including socks and sandals. Note that I do not carry slippers opting to use only my strap sandals for the duration of the trip. The only time I packed shoes was when I went on the Bhapa Pass Indian Himalayan trekking trip and even then, I wore it only for the snow pass.